It’s sequels week here, with a trio of eBook approvals for the coming months. For someone who is indifferent at best towards urban fantasy, Flex was an unexpected delight. Blending Breaking Bad with magic, it followed Paul Tsabo, a paper-pushing Bureaucromancer selling illegal magic to raise money for his daughter’s plastic surgery. Now his 8-year-old daughter is showing signs of powerful fire ‘mancy and learning to temper her deadly tantrums, while Paul faces off against the powerful King of New York, a mysterious mobster with his own army of ‘mancers. Available Oct. 6. 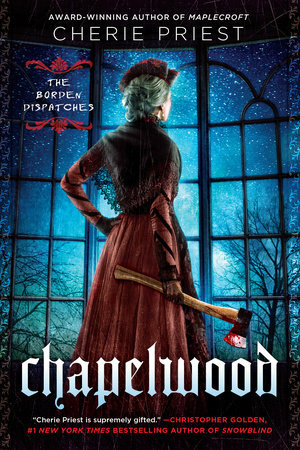 Lizzie Borden is back and she’s brought her axe to defeat the eldritch horrors of the deep South. After ridding her hometown of squamous creatures and losing her lover in the process in Maplecroft, the infamous parent whacker heads down to Birmingham, AL to face a serial killer named Harry the Hacker, with ties to a deadly cult that worships an ancient, dark evil. Available Sept. 1. 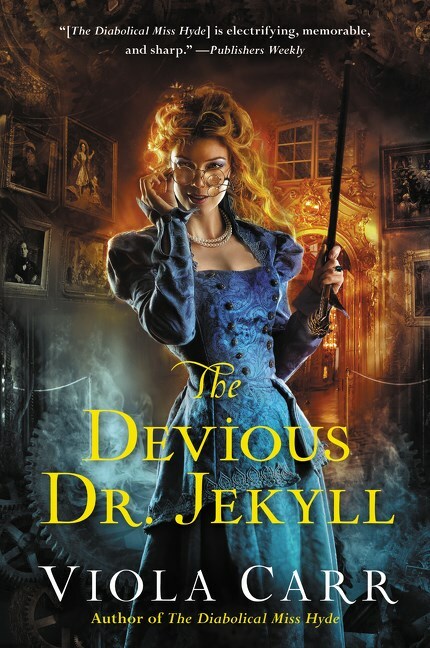 The Diabolical Miss Hyde was an unexpected delight earlier this year, a gender-swapped, steampunk retelling of Robert Louis Stevenson’s classic horror story. In the sequel, Eliza Jekyll teams up with the mysterious Royal Society agent (and illegal werewolf) Remy Lafayette to solve a magical crime involving French Sorcery. Unless her alter-ego Lizzy Hyde has something to say about it. Available Oct. 27. Check back soon for reviews! This entry was posted in New Arrivals and tagged Chapelwood, Cherie Priest, Devious Dr. Jekyll, Ferrett Steinmetz, The Flux, Viola Carr. Bookmark the permalink. 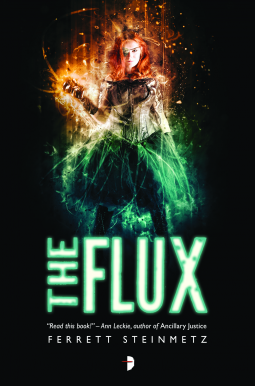 Seriously looking forward to reading Flux. The other two I saw but I’ve not read the first book in either series so I kind of veered from. Interested in your reviews though – they both look really good so perhaps I should rethink reading the series.